Is the just-announced 250 GB PS3 slim a slap in the face for early adopters of the 120 GB version? A scant two months after the North American release of the PS3 slim, Sony is releasing a new model with twice the hard drive space. The 250 GB PS3 slim will launch in North America on November 3, as of yet will feature no pack-ins or improvements over the 120 GB model other than hard drive size, and will be priced at $349. That's twice the size for one-and-a-sixth times the price, and is obviously the better value for the average person that doesn't know how to swap out a hard drive. I can't help but feel like all of these SKUs, bundles, and hard drive size changes are really affecting the average consumer's view of purchasing a videogame system. Why buy a console on day one when something better will pop up in a couple months, as it constantly has been for the past few years? In that way, consoles are almost becoming like computers, where way better components are always a hair's breadth away no matter when you buy (it used to be like that anyway). 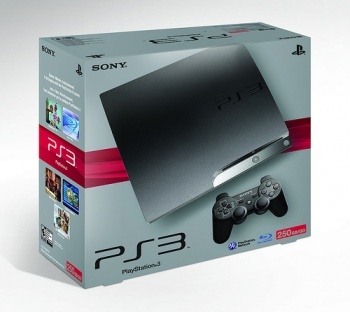 The PlayStation 3 is predicted to hit the top of the NPD charts when they are released within the week, and rightfully so with the system's recent $299 price drop combined with the release of the slim model. Is this really the proper way to reward consumers that have propelled the PS3 to such great heights over the past month? To basically say: "Hey, here's a much better model that you probably would have wanted just two months later!" Why wait such a short amount of time to release the 250 GB model, rather than releasing it on September 1 with the 120 GB model so consumers could have had a choice? The 250 GB PS3 is no doubt partially a response to the Xbox 360 Modern Warfare 2 250 GB uber bundle, but it pales in comparison to that without a pack-in of any kind. I sincerely hope that the next generation of consoles, when they eventually get here, will not come with the constant flow of SKUs that this generation has. In a way, they are disrespectful to the most loyal of customers.